One of the most shocking video in Internet history was seen today at a page named ‘Save the students of NITSrinagar’, according to the video a group of students can be seen marching in the campus with pro India slogans. As police officers heard the shouting, they came and tried best to make sure the flags go off from the campus. Here is when they started it. Students were walking with Indian flag after finishing the meeting. The police ambushed us. Took the Indian flag from our hands and beat the hell out of students !! Look at the end how 5 policemen are enjoying beating a single guy with canes. Is this India ? Who is responsible for this? Local Policemen are taking their grudge against India on us. Shame on the Government !!! Smriti Zubin Irani is this what we were promised for an education ? Why are we being forced to study in a state where locals want to beat us like rag dolls? Who can we expect help from if not you ? Students who try to be Anti-nationals are made heros but students who uphold the nationality are beaten like dogs !! On first visuals it can be seen that the students are trying to make sure that national flag won’t be respected in the city and some militant groups are against them. #NITSrinagar ‘300 students formed procession. Carried flags,placards. Tried to go out. We dispersed them with mild baton charge’ SSP Sgr. 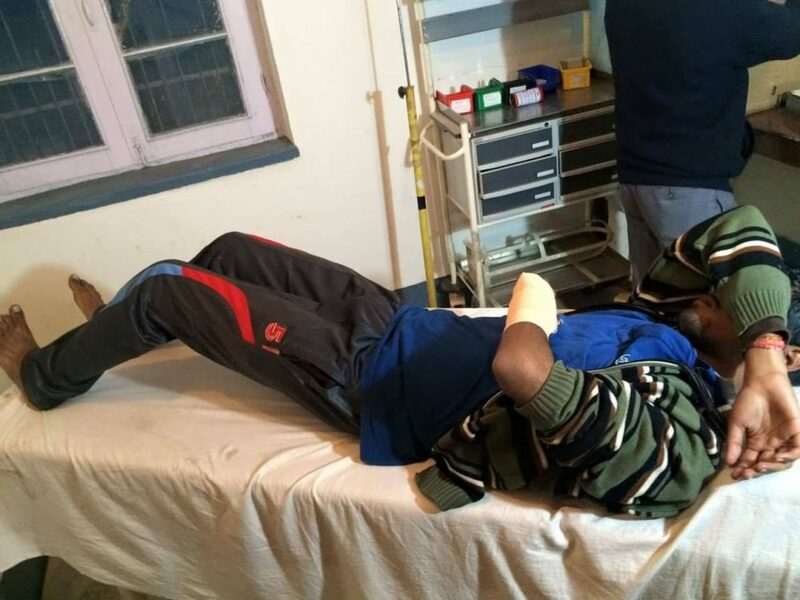 #NITSrinagar Bone & Joint Hospital says 4 injured under treatment. Akash(Patna), Ghansham (R’than), Hafiz (Samba) and Shubhang (Delhi). Next articleTashan-e-Ishq 5th April 2016 Tuesday Episode: Anita falls in her own trap !